Creativity has become a major part of the lives of countless people whether they follow a creative career or simply have a creative hobby. For artistic individuals, creativity is vital in finding their voice and being able to express themselves through a variety of means – and it is as important for teens as it is for adults. 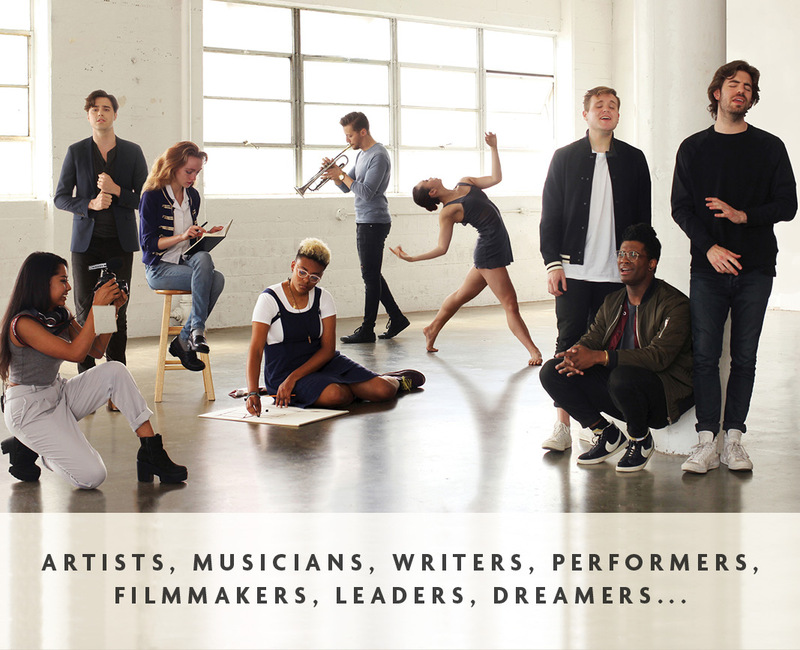 The National YoungArts Foundation helps teens unleash their creativity and provides them a community of alumni (which currently includes the likes of Viola Davis, Kerry Washington, and Josh Groban) and a lifetime of encouragement, opportunity and support. The foundation organises YoungArts, an annual competition for creative teens from 15 to 18 in the United States. Every year, finalists of this competition are invited to the National YoungArts Week, which was hosted from the 6th to the 13th of January this year. The variety of disciplines in the competition allows almost any creative teen to participate and showcase their skills. Winners are truly the future of art as they may receive scholarships and a nomination as a U.S. Presidential Scholar in the Arts, one of the nation’s highest honours for high school students. I sat down to talk with a few finalists of National YoungArts 2019 competition about their creative journeys. 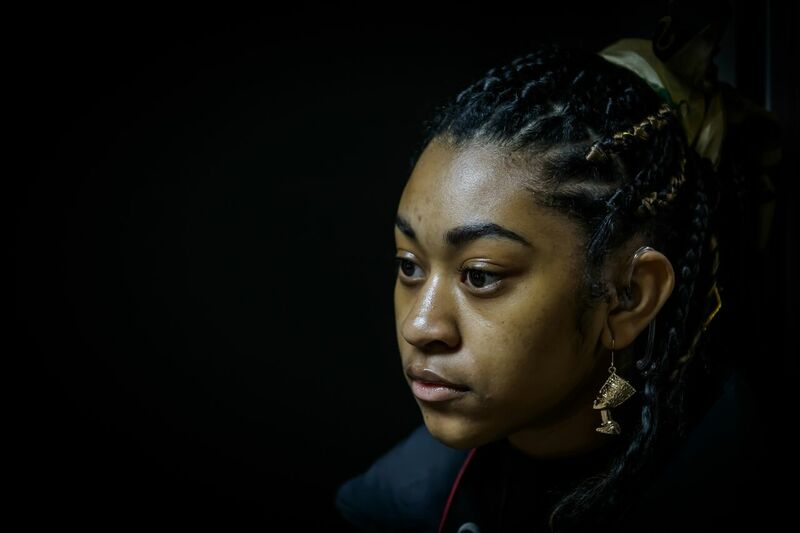 Delana Lewis, 18, has participated in filmmaking for the past four years. Growing up with one of her parents being a part of the industry, she never thought she would end up exploring film. She enjoys being able to voice herself through the craft and using it to influence her culture. Inspired by a variety of movements, as well as black women in Hollywood, she enjoys providing people with a way to speak out about their lives. Delana Lewis, finalist of Cinematic Arts discipline. Photo by Jason Koerner. “Creativity means having a voice, creating and sharing an opinion that can allow people to think, and producing something that is beautiful to the eye. Creativity means allowing new things to be explored that have never been done before and allowing yourself to feel and have a motion and use it for something better,” Delana says. She believes it is vital for adults to encourage creativity in younger children, as she finds it important in all aspects of life. For Vincent Igusa, 17, music brings endless possibilities. Being surrounded by music for his whole life, he started taking piano lessons from his mom at the tender age of five. However, it was not until he picked up the bassoon that he truly started to enjoy music and take it more seriously. Inspired by his peers, he enjoys playing in orchestras and chamber ensembles. Considering this, there is no question in his belief that artists should support each other in their creative journeys. 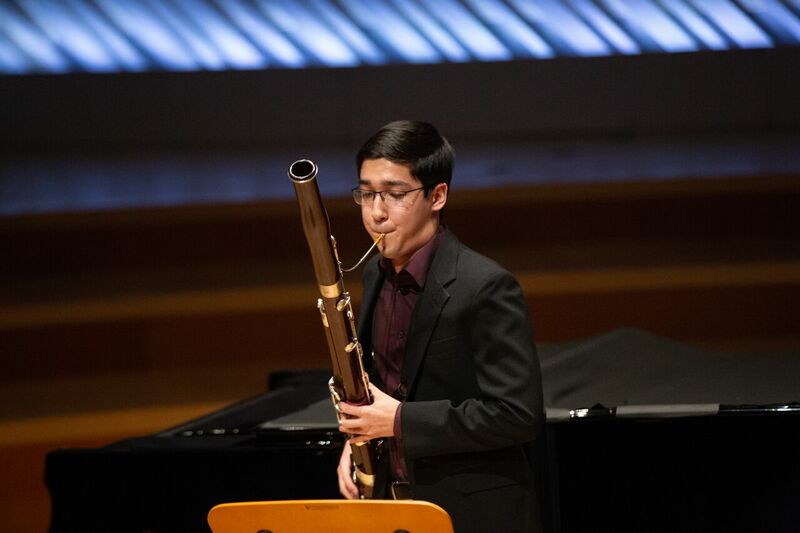 Vincent Igusa, finalist of Classical Music discipline. 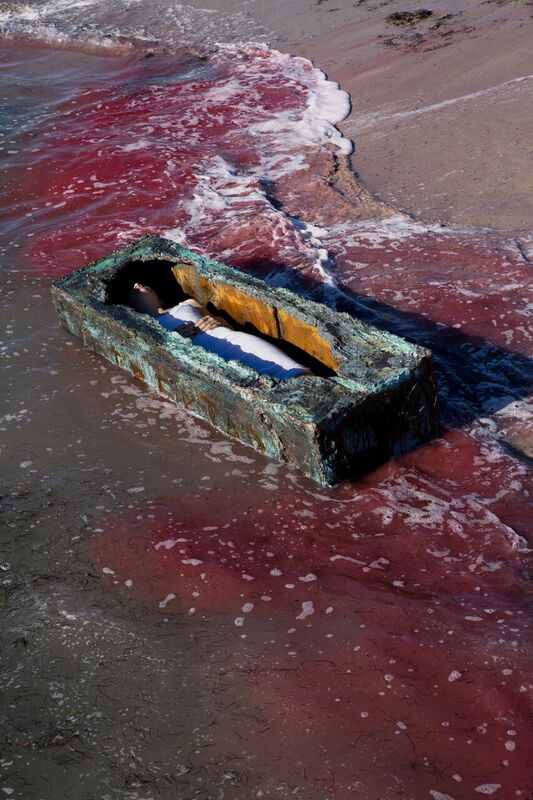 Photo by Em Watson. Art for Adriana Gomez, 18, is something more than just a form of expression. Through art, she managed to reconnect and build a relationship with her father after not speaking for years. It not only allows her to feel grounded and whole but also challenges her to evolve and always remain on the tip of her toes. 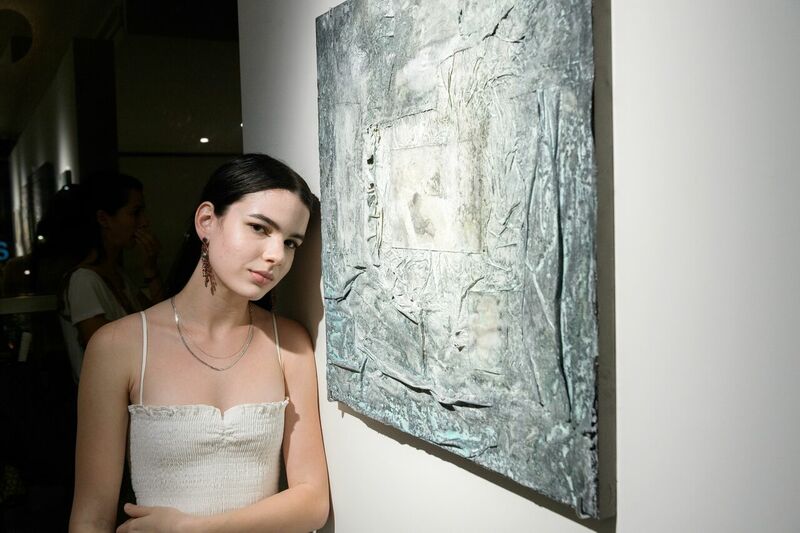 Becoming a YoungArts finalist has been an inspiring and uplifting experience for Adriana, and she would like to further pursue art as a career or perhaps, start a business in the field. “I teach private art classes at an elementary school and I find it to be extremely helpful for the students. I recently had a young student whose parents were going through a divorce, and she communicated her feelings to me through her work. I find that art can be healing, especially for children going through difficult experiences that they don’t quite comprehend yet – it is important for them to have that outlet,” she explains. “Last year was particularly difficult for me, I failed in a lot of ways and I felt extremely defeated. Despite those experiences, I challenged myself to produce work that pushed my own limits in terms of scale, materiality, and concept. No one paid any attention to the work I was making, I had no exposure or attention, but that did not stop me from continuing to make work that felt right for me. Now I just won a prestigious competition, I just had an exhibition in Los Angeles and am having my work published in various forums. While the validation is reassuring, it isn’t why I do what I do. You won’t always be celebrated for the work that you make, and that’s okay, but you should never let that discourage you,” she comments on the difficulties she encountered in her creative journey. 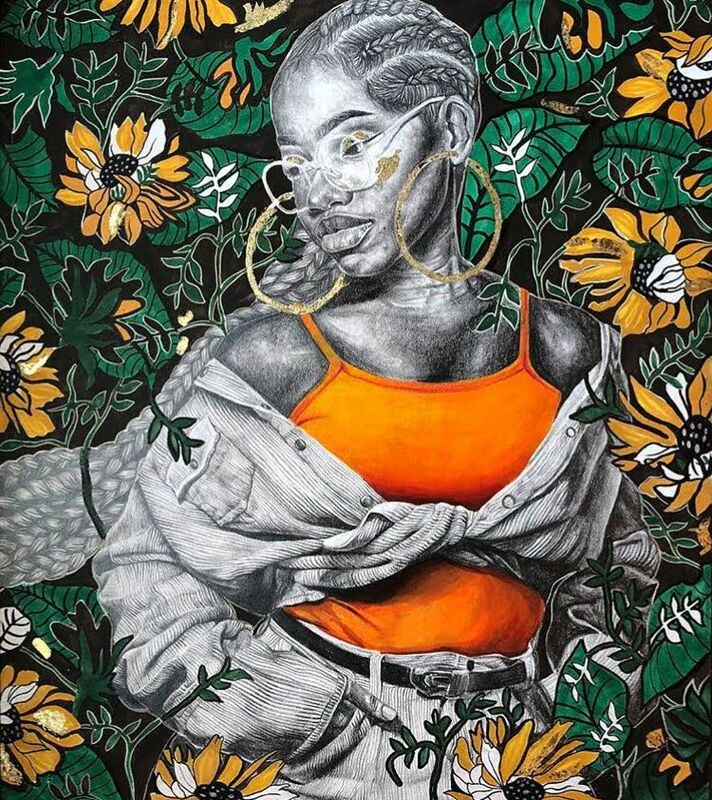 Aisha Mpiana, 18, has been interested in art since a child, and around 7th grade, she began to take it seriously. Ever since she has not stopped making art and continues creating in order to show other people of colour that they deserve and should love themselves. Each of her creations is inspired by multiple sources, from ancient artefacts or patterns to an old thrifted top. By creating, she would like to make people feel and connect with her art. 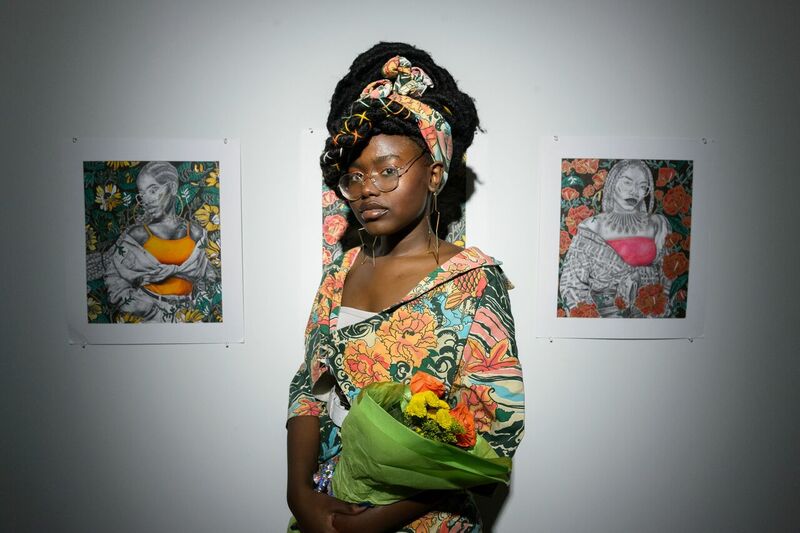 Aisha Mpiana, finalist of Visual Arts discipline, at National Young Arts Week 2019 Opening Exhibition. Photo by Jason Koerner. “The Queen herself, Loni Johnson, once told me to ‘Speak your truth.’ I pass that on to my fellow creatives. Being a black artist, a black female artist at that, our voice tends to be the last one heard, if heard at all. In a society where the worth of black women is placed at the lowest of pedestals, our narrative is usually deemed unworthy. But I’m here to tell you along with Loni [about] the importance of finding your voice and letting it be heard even though there are so many forces working against you.” she advises other creative teens. It is truly remarkable how a creative outlet provided these teens with countless opportunities and just an activity they love. In their lives, creativity plays a major role and despite the difficulties they faced, they continue to follow the path that they love and considering their success now, it is not difficult to see how they are gradually blending into the shape of future arts and entertainment. Although creative careers can sometimes be difficult, there is no doubt that with some hard work and persistence, one will reach their creative destination — whether that be financial success or perhaps, just a life full of taking pleasure in performing the craft you love. All images are courtesy of YoungArts.